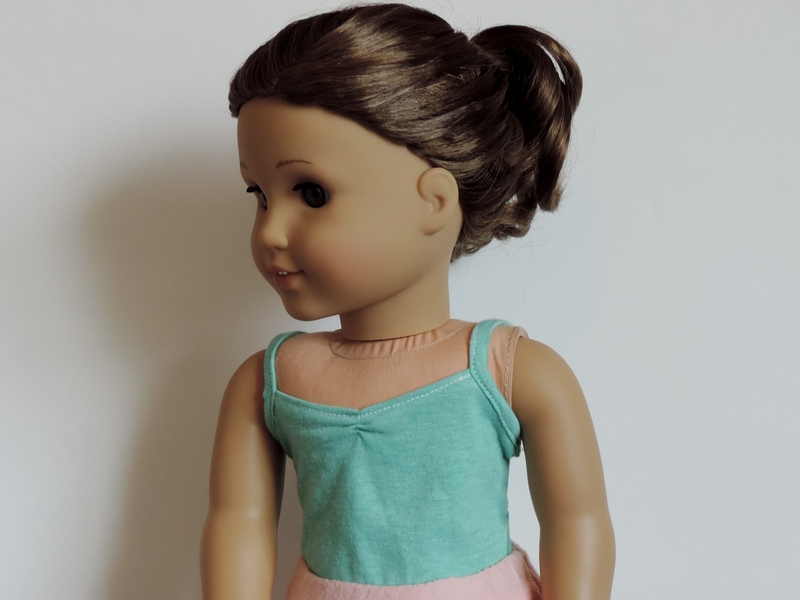 Once a week for the next couple weeks, I will be posting a hairstyle that will hopefully give you ideas of different things you can do with your doll’s hair. Let’s get started! 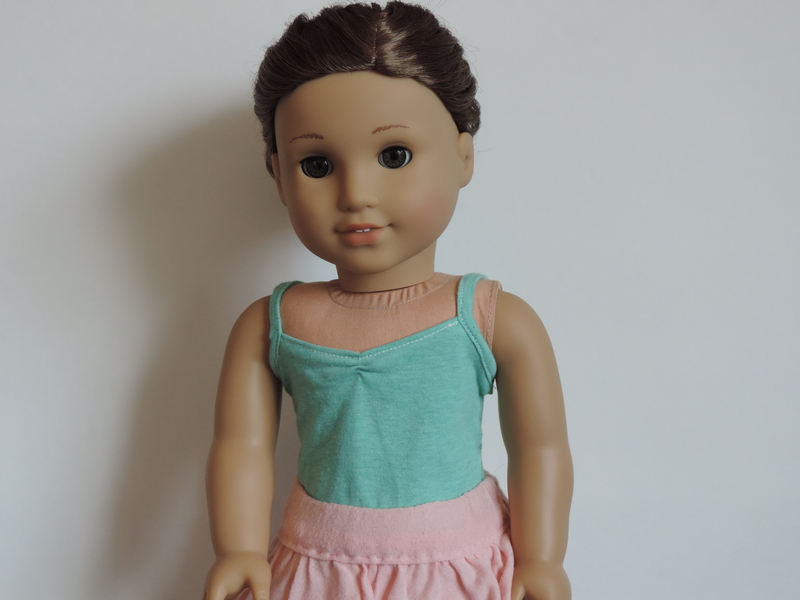 Spray the hair with the water to get it slightly damp. 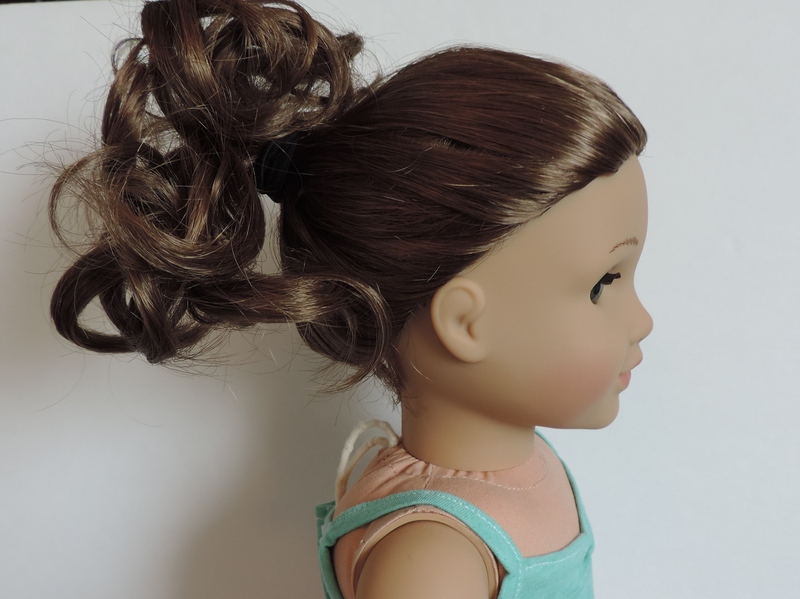 Pull up the curls to where you want the pony to be on your dolls head. You will probably need to smooth things out as you go. I didn’t brush through the curls, because I wanted lots of curls in the ponytail instead of one big curl. 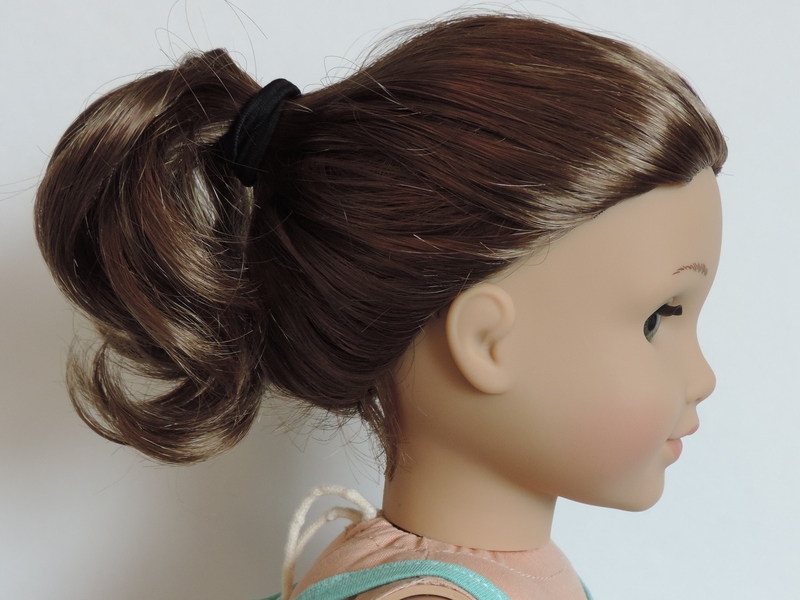 When you get your doll’s hair in the ponytail and put the hair tie around it, it might look a little messy. 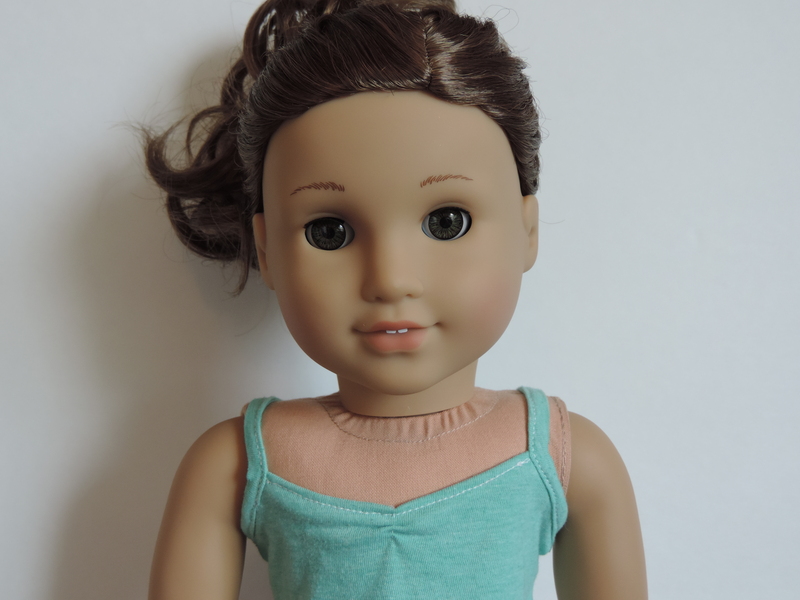 Find each little curl, spray it with water, and finger curl it by twisting it to the left. After curling each little curl, move them around until you think it looks cute. 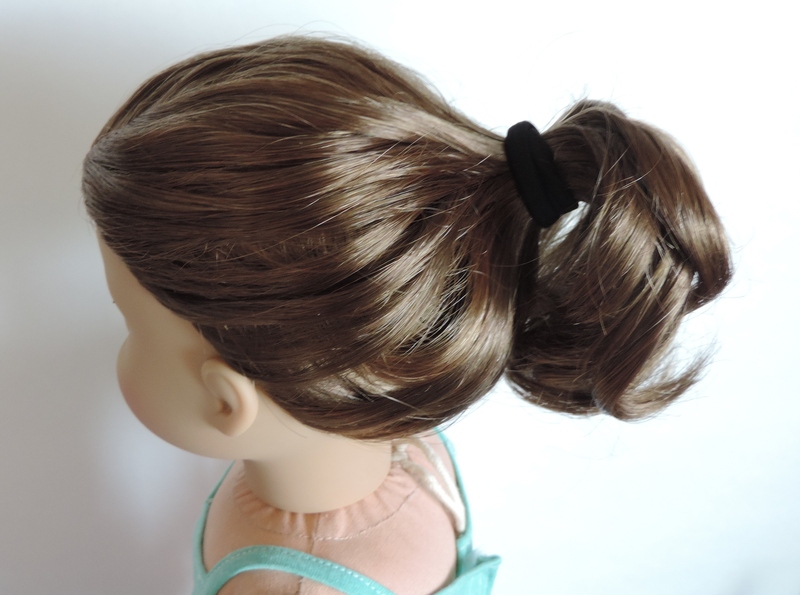 Now you have a sweet curly pony tail!